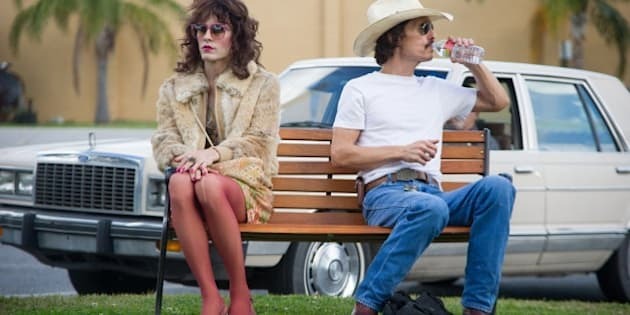 I knew "Dallas Buyers Club" was a film that was about 25 years in the making, but I had no idea how the story originally came to be. I met Craig Borten briefly on the red carpet of the world premiere of "Dallas Buyers Club" during the Toronto International Film Festival last year. I was mashed in with media on one side of the velvet rope while he and co-screenwriter Melisa Wallack walked the carpet alongside director Jean-Marc Vallée and the star-studded cast. As the journalists around me clambered over each other to interview Matthew McConaughey, I zeroed in on Borten and Wallack. Having just come from a screening of the film, my emotions were still raw. I could have asked them something clever, but instead I took the opportunity to gush about how wonderful the film was. At the time, I was working on my first screenplay, so I selfishly asked what advice they would give to an aspiring screenwriter halfway through her first script. Borten replied, "just keep on writing and when you're done, have someone like Melisa read it." Fast forward to the Vancouver International Film Festival (VIFF) Industry Conference, where Borten and fellow writer Kelly Masterson ("Snowpiercer," "Killing Kennedy") were guests at a session on successes in screenwriting. After graduating college in 1992, Borten's sister sent him an article titled "Staying Alive," about Ron Woodroof and the buyers clubs who were smuggling underground AIDS treatments into the U.S. She thought it would make a good play, but he immediately set his sights on turning the story into a film script. He traveled to Dallas to meet with Ron Woodroof and captured the story over three days of interviews. Having witnessed his own father struggle with cancer and experience the politics around pharmaceuticals in the U.S., Woodroof's story hit home for Borten. He also noticed a lot of similarities between Woodroof and his father. Yum Yum Donuts in the Santa Monica neighbourhood of Los Angeles, popular among the transgender community in the 1990s, was the inspiration for the character Rayon, who Borten says "is the heart of the film". Tom Cruise, Brad Pitt, Woody Harrelson, Dennis Hopper, and Ryan Gosling were all considered for the role of Ron Woodroof. The script originally sold for $12,000 USD. Borten met with McConaughey at his home and spent an entire day going over the script, page by page. McConaughey agreed not to pursue any other film offers for a year to ensure his availability for "Dallas Buyers Club". Production ran out of money after two weeks, but McConaughey's team managed to secure funding to finish the project. Borten likes to listen to music when he writes -- he said it helps him to visualize a scene or character. While working on the script for "Dallas Buyers Club," he listened to the Allman Brothers and Lynyrd Skynyrd. Director Jean-Marc Vallée eventually decided there would be no music in the film, only an original theme for each character. Someone from the audience asked Borten what he felt the essence of the film was. He said "it was about living for the first time." Filmmaking is clearly a tricky and sometimes soul-crushing business. But "Dallas Buyers Club" offers a glimmer of hope that if a story is good enough, somehow it will find its audience. VIFF wraps on Friday with the closing gala screening of "Whiplash." Tickets are still available at viff.org.